London’ £15bn Crossrail project reaches a milestone in May as civils contractors start to hand over tunnels and stations to mechanical and electrical fit-out and systems crews. Antony Oliver discusses the critical plans ahead with technical director Chris Sexton and rail system and commissioning director Siv Bharma. Every major project learns lessons from those that go before it. 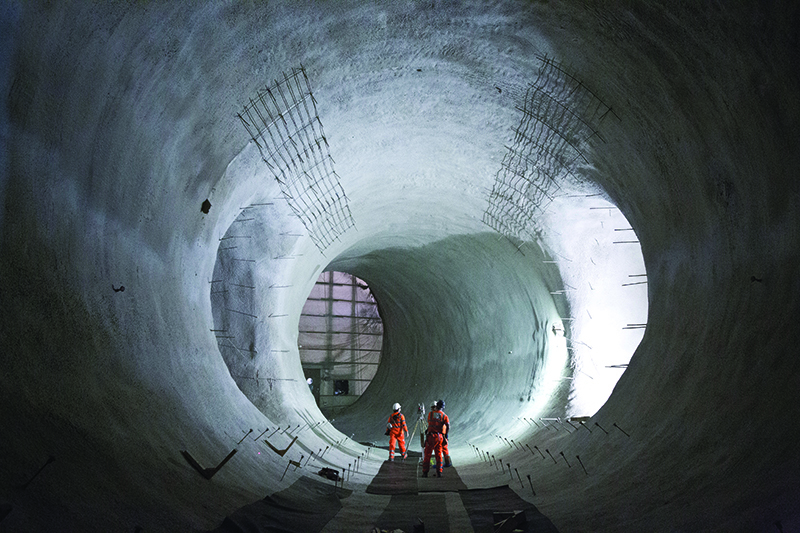 Crossrail, Europe’s biggest construction project, is certainly no exception, not least as it begins the complex process of turning tunnels into an operating railway. It is a critical moment. Speak to anyone involved in a recent major rail project and they talk about the biggest risks to meeting the opening schedule as being centred around getting the track, power signalling and communications systems properly integrated, tested and commissioned on time. For recent examples, think signalling on the Jubilee Line Extension; think baggage handling at Terminal Five. Hence the priority right now, three years ahead of the first train service, to ensure that the strategy for testing and commissioning the entire railway ahead of handover to the operator is absolutely worked out and agreed. “The way in which you do the testing, commission and handover will drive the decisions that you make during the installation of the systems themselves,” explains project technical director Chris Sexton, underlining the reality that as any project nears completion the challenge of managing the risks escalates. And that, he says, means ensuring everybody on the project really understands what has to be done now in 2015 to ensure that they are completely ready for handover and first trains running from May 2018. At the sharp end of this work is rail system and commissioning director Siv Bharma, a veteran of many major rail projects in the capital and beyond. And having the whole systems supply chain on board already, he says, plus MTR Corporation (MTRC) the ultimate operator and maintainer, gives Crossrail a major advantage. “Our systems specification was written very early which meant we were able to reach out to the supply chain early,” Bharma explains. That means being able to tap into the ideas of experienced systems and mechanical & electrical (MEP) contractors including Costain, Alstom, Knorr-Bremse, Westinghouse, Siemens and train manufacturer Bombardier. The first trains come off Bombardier’s Derby production line in February next year and before that date Crossrail has to get its testing specification coordinated and approved to enable it to book the vital test track in Melton by March. In fact, MTRC will start running services from 31 May 2015 between Liverpool Street and Shenfield, taking over stopping services from Abellio Greater Anglia. Initially these will operate with the current rolling stock but will be gradually replaced in 2017 by the new Crossrail trains. Testing of the new Crossrail trains will begin in June 2016 ahead of the phase one opening in May 2017 to put this new rolling stock onto the Great Eastern Line out of Liverpool Street. Phased openings will follow in 2018 and 2019 ahead of full opening in December 2019. 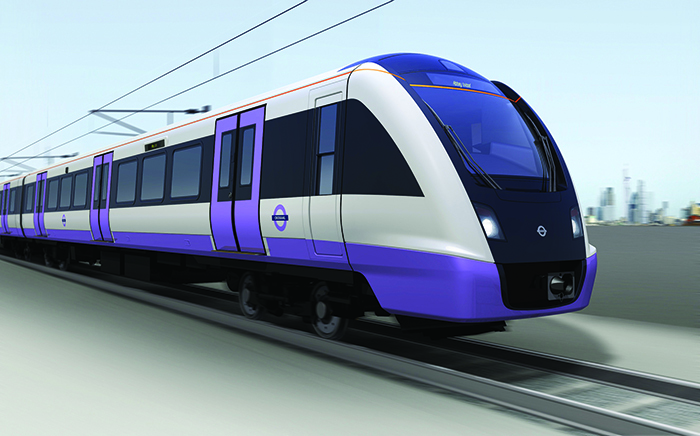 Bharma also points out the initiatives such as making the test track available as early as possible along with investment to construct a new station operations room jointly with London Underground at Blackfriars – to be ready to start testing systems in the Spring this year – will be important in meeting the programme. Also available in Spring will be the so-called “Train zero” – a computer version of the train on which to test all systems and scenarios. The project is also investing in a purpose built integration facility – a detailed lab in which all the supplier software is brought together to be tested and electronically simulate how real trains will operate. Bharma has learnt many lessons along the way throughout his career, not least from time spent on challenging projects such at the Jubilee Line Extension project in the 1990s. “The lessons there were that firstly the level of complexity specified [to use a moving block system] was way ahead of its time, and second the level of systems integration specified was highly advanced – all you needed was one or two suppliers not really getting it for problems to occur,” he explains. So an enormous amount of thinking is already going on to prepare and plan for these critical operations at the back end of the programme. However, Sexton points out that, while these testing strategies are of course crucial, there is also the small matter of having to first construct everything. And that means as the tunnelling winds down, from May and June 2015 onwards the MEP and systems contractors must start to mobilise to fit out the stations and install the track, overhead line, ventilation, signalling, power and communication kit. In fact the first of these contractors, Siemens, starts in the Canary Wharf station in February. So Sexton’s first challenge is to complete tunnelling and that is by no means a simple task given that much of the final work is under central London. Second is for “the tunnelling community to clear off in a timely manner’ as he puts it, leaving the work areas clear for the MEP and systems contractors to access. The third on-going challenge, he says, is to continually manage the integration between the civils, MEP and systems designs, each of which was necessarily carried out separately in phases and now must be knitted together.